Posted March 15th, 2005 by Ms. Jen & filed under photos + text from the road. Big Thanks to Elizabeth and the fine ladies at the press booth. 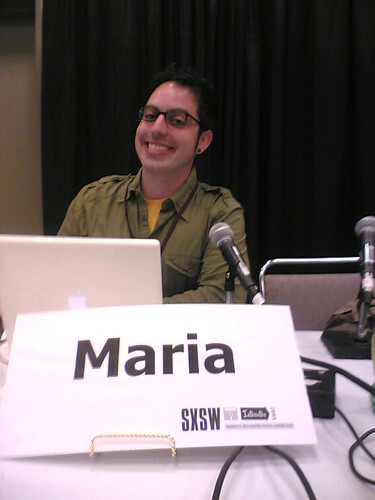 Julie Wanda and I will be blogging the Music portion of the SXSW conference over at the Barflies.net News and Tidbits. Posted March 14th, 2005 by Ms. Jen & filed under photos + text from the road. Most photos with Ms. Jen’s Nokia 7610. Mon 03.14.05 – After the last panel of the day, I went over to Finn & Porter at the Hilton for dinner with The Brits, Kyle Bradshaw, Anders Pearson, Cindy Li, and others. The food was delightful and so was the company. 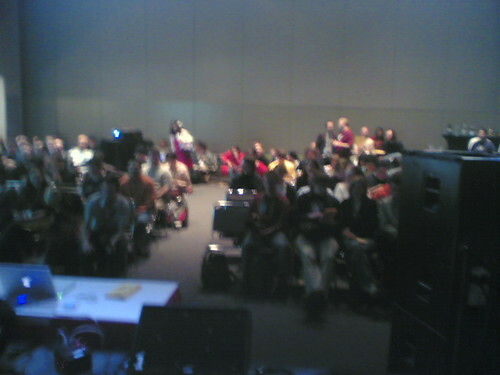 Mon 03.14.05 – The audience at The Bloggies. SXSW Day 4 – Does Design Matter? Mon 03.14.05 – First panel of the day. The sign writer has renamed Jason. Mon 03.14.05 – First panel of the day. 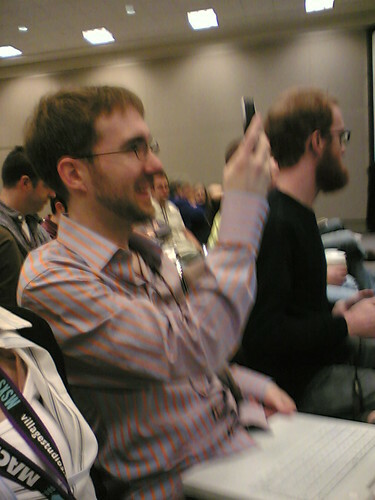 Shaun taking a photo of the panel. Rob and his fabulous red beard in the backgound. Mon 03.14.05 – First panel of the day. 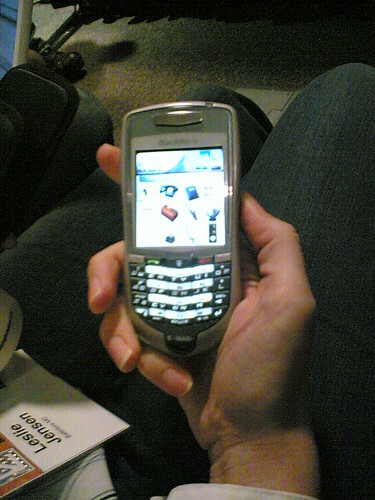 Leslie’s new Crackberry is small, well designed and can actually fit in a woman’s hand. Mon 03.14.05 – First panel of the day. 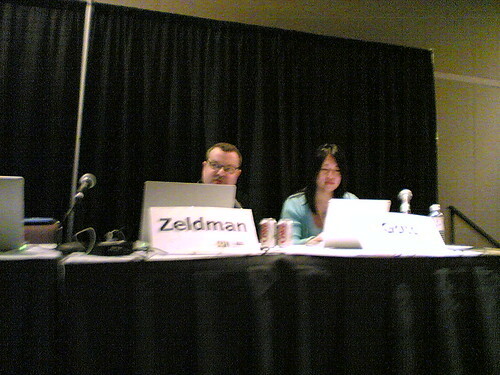 Jeffrey Zeldman and Kelly Goto.